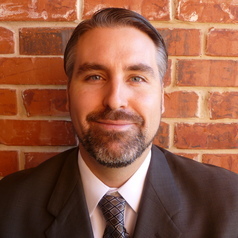 Dr. Gregory Burge is an Associate Professor of Economics at the University of Oklahoma. He came to OU following completion of his Ph.D. at Florida State University in 2006. His primary research and teaching interests include urban economics, housing economics, public finance, and labor economics. His research has been supported by the U.S. Department of Housing and Urban Development and the Lincoln Institute of Land Policy, and has been published in journals including the Journal of Urban Economics, Journal of Labor Economics, Journal of Regional Science, Journal of the American Planning Association, Regional Science and Urban Economics, National Tax Journal, Real Estate Economics, Housing Policy Debate, Social Science Quarterly, Public Finance Review, and Cityscape. Many of his papers focus on the causes and consequences of various state and local revenue raising mechanism, including development impact fees. He loves to teach, and has instructed courses as large as a 560 student Principles class all the way down to a 7 student graduate research seminar. He also Chaired the Faculty Welfare Committee at OU and currently serves as the Economics Department's Director of Graduate Studies. He can be reached at gburge@ou.edu.